For over two weeks this May, a delegation of 30 Americans visited seven regions and ten cities across Russia. Organized by Sharon Tennison of the Center for Citizen Initiatives. The participants began in Moscow with several days of meetings and visits, then broke into smaller groups going to cities including Volgograd, Kazan (Tatarstan), Krasnodar (near the Black Sea), Novosibirsk (Siberia), Yekaterinburg and the Crimean cities Simferopol, Yalta and Sevastopol. After these regional visits, delegates regrouped in St Petersburg to share their experiences. Following is an informal review with conclusions based on my observations in Kazan and what I heard from others. – Western sanctions have hurt sectors of Russia’s economy but encouraged agricultural production. 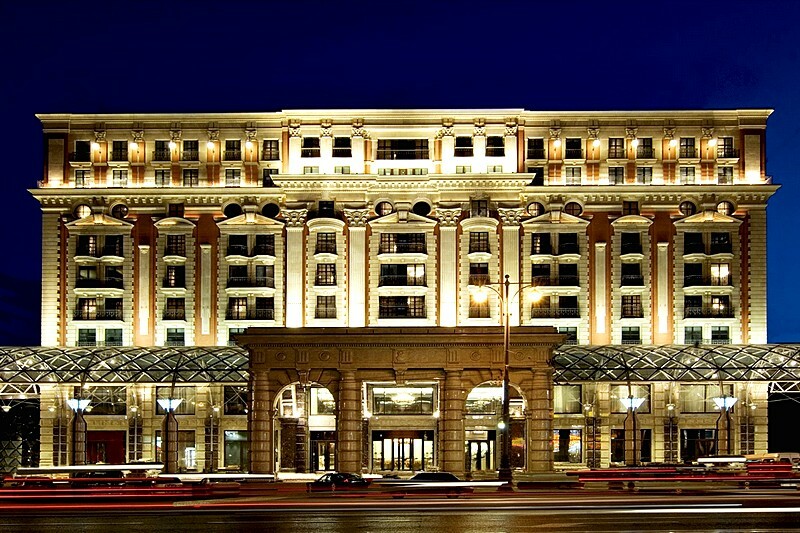 – Some Russian oligarchs are making major infrastructure investments. For example, billionaire Sergei Galitsky has developed Russia’s largest retail outlet, the Magnit supermarket chain. Galitsky has invested heavily in state-of-the-art drip irrigation green houses producing massive quantities of high quality cucumbers, tomatoes and other vegetables, which are distributed via the supermarkets throughout Russia. – There has been a resurgence of religion in Russia. – Russia increasingly looks east. The Russian emblem of a double-headed eagle looks both east and west; it is a Eur-Asian country. While Europe is still important politically and economically, Russia is increasingly looking to the east. Russia’s “strategic partner” is China – economically, politically and militarily. There are increasing numbers of Chinese tourists and education exchanges with Russia. In the United Nations Security Council the two countries tend to vote together. Huge investments are planned for the transportation network dubbed the “Belt and Road Initiative” connecting Asia with Europe. – Russia is a capitalist country with a strong state sector. Government is influential or controls sectors of the economy such as public transportation, military/defense industry, resource extraction, education and health care. State-owned enterprises account for nearly 40 percent of overall employment. They have universal health care in parallel with private education and health care facilities. Banking is a problem area with high interest rates and the failure/bankruptcy of numerous banks in the past decade. We heard complaints that foreign multinational companies can enter and control sectors of the economy, drive out Russian competitors and take the profits home. – There is some nostalgia for the former Soviet Union with its communist ideals. We met numerous people who speak fondly of the days when nobody was super-rich or horribly poor and when they believed there was a higher goal for society. We heard this from people ranging from a successful entrepreneur to an aging Soviet-era rock musician. That does not mean that these people want to return to Soviet days, but that they recognize the changes in Russia have both pluses and negatives. There is widespread disapproval of the breakup of the Soviet Union and the economic chaos of the 1990s. – There is a range of media supporting both government and opposition parties. – Public transportation is impressive. The streets of Moscow are jam packed with new cars. Meanwhile, underground there is a fast, economical and efficient subway system. which is the most heavily used in Europe. The Moscow metro carries 40 percent more passengers than the New York subway system. On major routes the trains arrive every 60 seconds. Some of the stations are over 240 feet underground with the longest escalator in Europe. Inter-city trains such as the Sapsan (Falcon) take passengers between St. Petersburg and Moscow at 200 kilometers per hour. Despite the speed, the train is smooth and quiet. It’s an interesting way to view rural Russia as one passes ramshackle dachas, cute villages and abandoned Soviet-era factories. A major new transportation project is the bridge between Krasnodar and the Crimean peninsula. This short video portrays the design. Depending on who you ask, Putin’s popularity seems to range between 60 and 80 percent. There are two reasons: First, since he became leader the economy has stabilized, corrupt oligarchs were brought into check, and the standard of living dramatically improved. Second, Putin is credited with restoring international respect for Russia and national pride for Russian citizens. Some say, “During the 1990s we were a beggar nation.” Russians have a strong sense of national pride and Putin’s administration has restored that. Some people think Putin deserves a break from the intense pressure and workload. That does not mean everyone likes him or is afraid to say that. 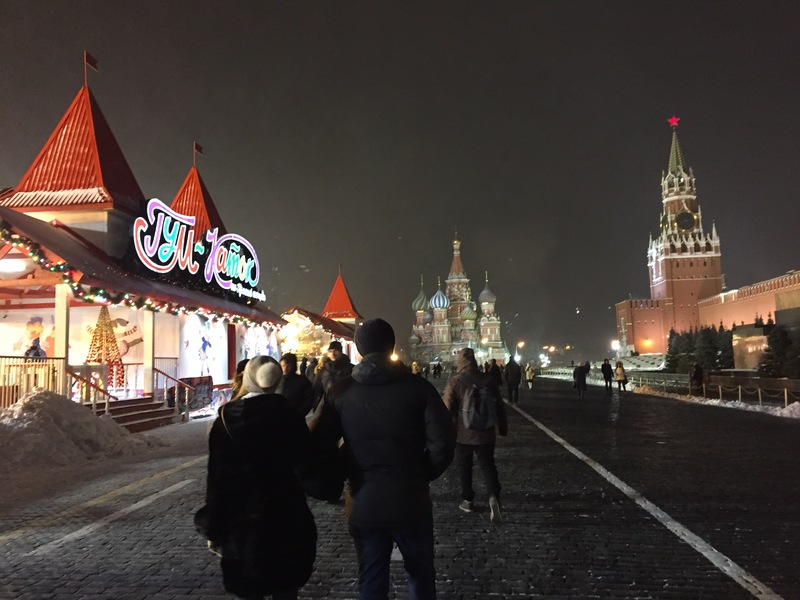 Our official Moscow guide took delight in showing us the exact spot on the bridge outside the Kremlin where she believes Putin had one of his enemies assassinated. Other Russians we spoke with mock these accusations, which are widely believed in the West. As to the accusations that Putin is a “dictator,” about 75 students in Crimea openly laughed when they were asked about this Western belief. – Russians are highly skeptical of accusations about Russian “meddling” in the U.S. election. One foreign policy expert, Vladimir Kozin, said “It’s a fairy tale that Russia influenced the U.S. election.” They contrast the unverified accusations with clear evidence of U.S. interference in past Russian elections, especially in the 1990s when the economy was privatized and crime, unemployment and chaos overwhelmed the country. 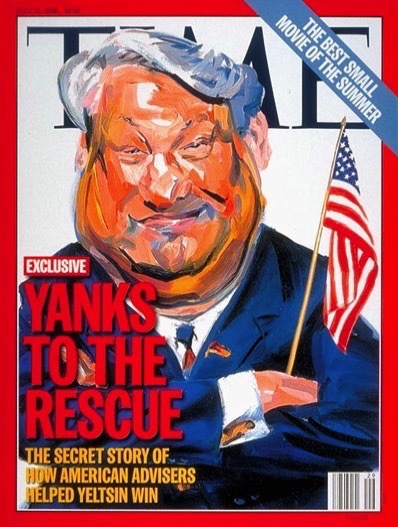 The role of the U.S. in “managing” the election of Boris Yeltsin in 1995 is widely known in Russia, as is the U.S. funding of hundreds of “non-governmental organizations” in Ukraine prior to the 2013-2014 violence and coup. – There is a strong desire to improve relations with the U.S.
We met numerous Russians who had participated in citizen exchanges with the U.S. in the 1990s. Almost universally these Russians had fond memories of their visits and hosts in the U.S. In other places we met people who had never met an American or English-speaking person before. Typically they were cautious but very pleased to hear from American citizens who also wish to improve relations and reduce tensions. – Western media reports about Crimea are hugely distorted. CCI delegates who visited Crimea met with a broad range of citizens and elected leaders. The geography is “stunningly beautiful” with mountains dropping to beaches on the Black Sea. Not reported in the West, Crimea was part of Russia since 1783. 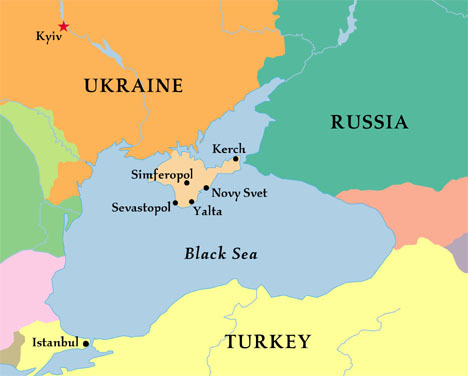 When Crimea was administratively transferred to Ukraine in 1954, it was all part of the Soviet Union. Crimeans told the CCI delegates they were repelled by the violence and fascist elements involved in the Kiev coup. Bus convoys from Crimea were attacked with injuries and deaths following the Kiev coup. The new coup government said Russian was no longer an official language. Crimeans quickly organized and held a referendum to secede from Ukraine and “re-unify” with Russia. With 80 percent of registered voters participating, 96 percent voted to join Russia. One Crimean stated to the CCI delegates, “We would have gone to war to separate from Ukraine.” Others noted the hypocrisy of the West which allows secession votes in Scotland and Catalonia, and which encouraged the secession of Croatia, but then rejects the overwhelming vote and choice of the Crimean people. Sanctions against tourism are hurting the economy of Crimea yet the public is confident in its decision. The Americans who visited Crimea were overwhelmed with the warm welcome and friendliness they received. Because of the sanctions, few Americans visit Crimea and they also received substantial media coverage. In reaction, political officials in Ukraine accused the delegates of being “enemies of the Ukrainian state” and put their names on a blacklist. – Russians know and fear war. Twenty-seven million Russians died in World War II and that experience is seared into the Russian memory. The Nazi siege of Leningrad (now called St. Petersburg) reduced the population from 3 million to 500,000. Walking through the cemetery of mass graves brings home the depth of suffering and resilience of Russians who somehow survived a 872-day siege on the city. Memory of the war is kept alive through commemorations with huge public participation. 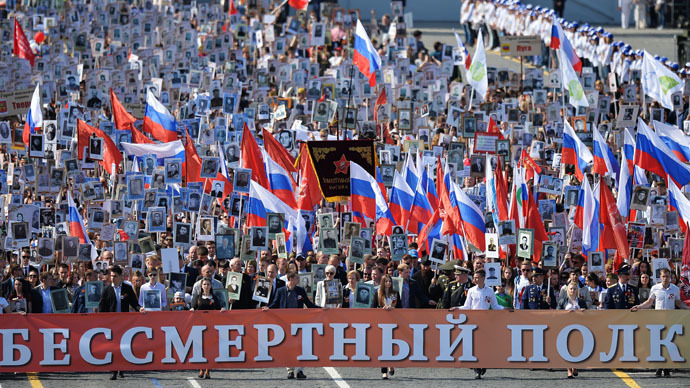 Citizens carry poster-size photographs of their relatives who fought or died in World War II, known as the “Immortal Regiment.” In Kazan, the march involved 120,000 persons – 10 percent of the entire city population – beginning at 10 a.m. and concluding at 9 p.m.. Across Russia, millions of citizens actively participate. The marches and parades marking “Victory Day” are more solemn than celebratory. – Russians see themselves being threatened. 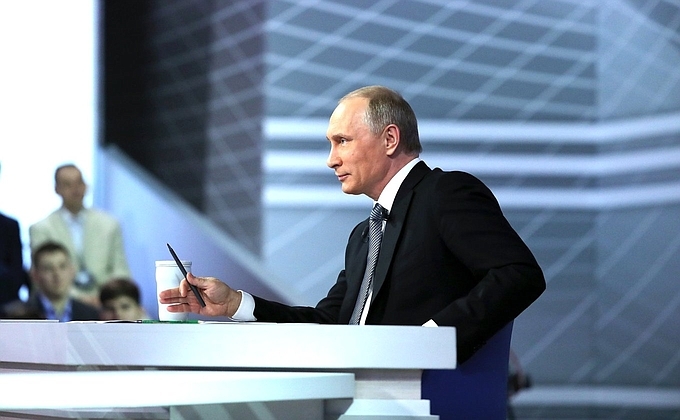 While Western media portrays Russia as “aggressive,” most Russians perceive the reverse. They see the U.S. and NATO increasing military budgets, steadily expanding, moving up to the Russian border, withdrawing from or violating past treaties and conducting provocative military exercises. This map shows the situation. – Russians want to de-escalate international tensions. Former President Mikhail Gorbachev said to our group, “Does America want Russia to just submit? This is a country that can never submit.” These words carry extra significance because it was Gorbachev who initiated the foreign policy of Perestroika which led to his own sidelining and the collapse of the Soviet Union. Gorbachev has written about Perestroika as follows: “Its main outcome was the end of the Cold War. A long and potentially deadly period in world history, when the whole humankind lived under the constant threat of a nuclear disaster, came to an end.” Yet we are clearly in a new Cold War and the threat has re-emerged.